Blackness and Transatlantic Irish Identity analyzes the long history of imagined and real relationships between the Irish and African-Americans since the mid-nineteenth century in popular culture and literature. 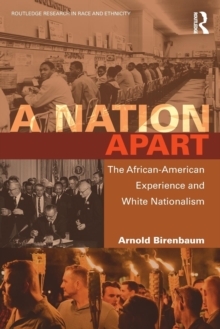 Irish writers and political activists have often claimed - and thereby created - a "black" identity to explain their experience with colonialism in Ireland and revere African-Americans as a source of spiritual and sexual vitality. Irish-Americans often resisted this identification so as to make a place for themselves in the U.S. However, their representation of an Irish-American identity pivots on a distinction between Irish-Americans and African-Americans. 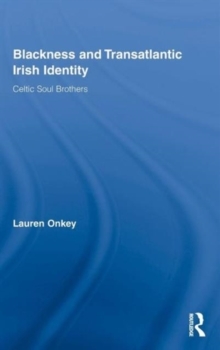 Lauren Onkey argues that one of the most consistent tropes in the assertion of Irish and Irish-American identity is constructed through or against African-Americans, and she maps that trope in the work of writers Roddy Doyle, James Farrell, Bernard MacLaverty, John Boyle O'Reilly, and Jimmy Breslin; playwright Ned Harrigan; political activists Bernadette Devlin and Tom Hayden; and musicians Van Morrison, U2, and Black 47.